Sign up for a practical guide on turbulence and takeoffs, two of the most feared moments in flying. In 1987 I was asked to talk to a group of people who were gathered to work on their “fear of flying.” That was a surprise to me because I had no idea that such a thing existed. I have to confess that after my first exposure I was not only convinced about the problem, but also compelled to learn more about helping them. That education continues today, more than 25 years later. Over the years, I observed that more than 25% of the people on my flights had some fear of flying. Some would admit to being afraid, while most would describe themselves as “nervous” flyers or say “flying makes my stomach a little upset.” And if the flight had some good turbulence, I began to realize that almost everyone had some anxiety about flying. Fear is a normal human emotion that helps us to notice danger and come up with a plan of action. One example is the startle response. That’s the reaction we experience when we hear a loud noise or experience a sudden “drop” due to turbulence. As a pilot with over 16,000 hours at the controls I experience that same reaction. But, unlike yours, my anxiety is momentary as I resort to years of experience and quickly react to assess the situation. Fearful flyers, unfortunately, get stuck in an elevated state of anxiety and stress. FearlessFlight is about moving forward and learning to deal with fear rather than avoiding it or trying to dominate it through will alone. Educating yourself about fear and flying. Learning to distract oneself to break obsessive thinking. Sharing your story with others appropriately who can then support you in your efforts. 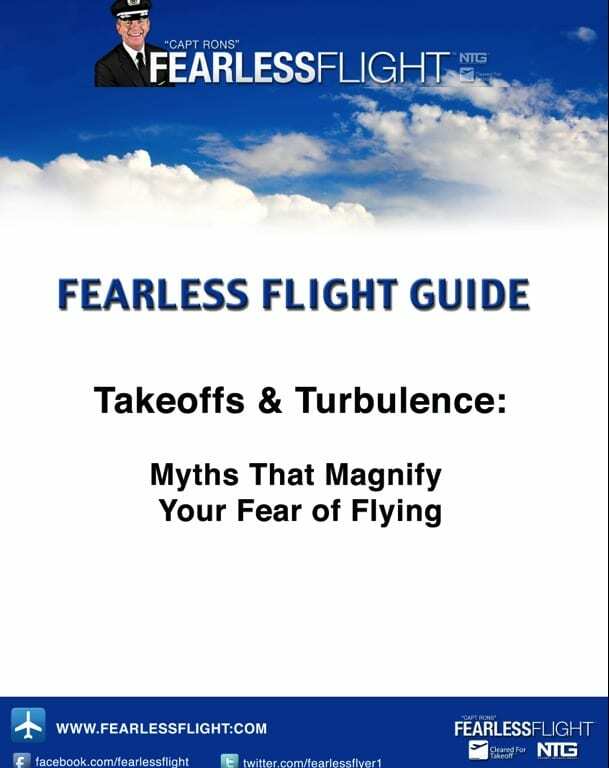 Enter your name, email address, and mobile phone number to get access to a free guide to turbulence and takeoffs. Simply enter your name, your email address, and your mobile phone number and click “Get Instant Access” to begin overcoming your fear of flying now.